Your family is a master at frugality to make things work financially. Your kids know to not get attached to brand name anything if the generic variety is exactly the same. The clothes are hand-me-downs, all day, every day. Bulk buying at Costco with dozens of coupons is part of your weekly routine. You very rarely go out to eat, and if you do, it’s at a “kids eat free” restaurant. But how can you afford to take a vacation that won’t break the bank? Finding an affordable family vacation perfect for your large family is difficult. Airplane tickets are insane, so going off to Hawaii is off the books. Hotels require 2-3 rooms with their housing limits. And don’t get me started on car rentals. Sure you can keep to nearby stay-cations with movies in the park or patriotic parades. But what if you’re looking for something new to experience that won’t cost an arm-and-a-leg? In this article, we’ll go over three strategies to find more affordable vacations, perfect for your large family. We’ll end with five money saving tips too. When you’re on vacation, costs can add up fast. First, you rent a place to stay. Then you pay for the activities and entertainment. And if you did not bring your car, you’ll want to set aside some money for transportation. Oh, and don’t forget the food bill, since your family needs to eat. Finally, there’s the shopping and souvenirs. Expensive, isn’t it? Not to mention how stressful it is to plan where you need to go and how much to spend onevery part of the trip. Sure, not every one of those line-items is necessary. But there are more affordable options, such as an all-inclusive family vacation package. These retreats virtually cut out the stress of planning and budgeting. Even better, look for getaways that cap the total price for families. Most events here at Peniel Ranch have a family limit at $600 for four days. 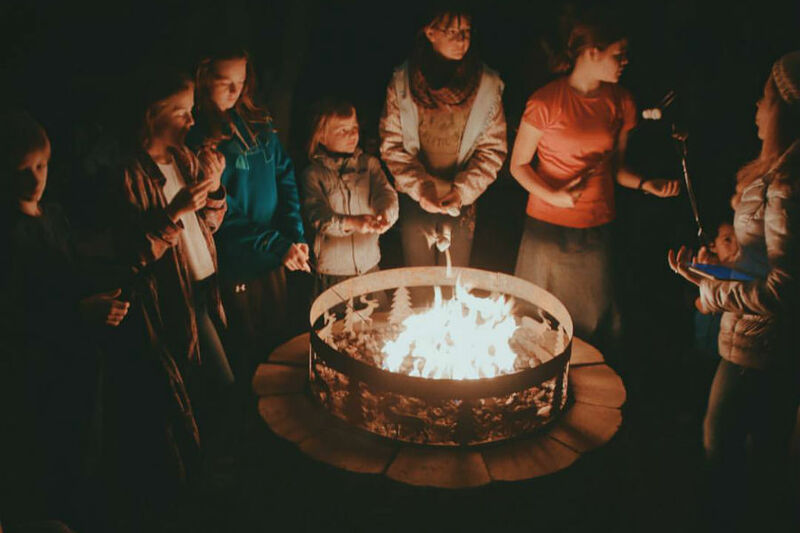 Camp Gilead, located near Seattle, has a maximum cost of $700 for families at their family camp in July. An impersonal atmosphere at the resort. While Peniel and Gilead are family-friendly, some resorts cater to different vacationers. For example, there are party-centric resorts, relaxed luxury resorts, and traveling nomad resorts. Be sure to do your research to find the best place that fits your style. Watch out for hidden fees, or not true all-inclusive resorts. Lissa Poirot, former Editor-in-Chief of Family Vacation Critic warns, "Although the term is 'all-inclusive,' not everything is included. [This] can sometimes catch guests off-guard." You may not get a true experience of the local atmosphere. If you’re interested in sampling the local cuisine, you’ll miss your chance if you eat every meal on-site. That said, if your budget is flexible, there’s no harm in paying for one meal after your stay is complete. If you’re not picky about traveling in the summer, consider a vacation after Labor Day. Summer is an excellent opportunity to enjoy the sun and see much of God’s creation at its best. But with increased demand with public school out of session, rates skyrocket. Airfare climbs. Hotel prices soar. Not to mention, a tremendous traffic-jam of tourists in the sweltering temperatures. So why not try a vacation in the off-season? Once Labor Day has passed, many people pack up their beach towels and summer reading and head home. For example, our off-season rates for group retreat rentals are between 20-40% off. While not always the norm, you’ll find similar discounts for lodging in many premier destinations and resorts. For certain cities, summer is the off-season. With temperatures creeping above 100 degrees, cities like Phoenix and Las Vegas offer sweet discounts and freebies in the summer. Aruba, Bonaire, and Curacao are slower due to hurricane season. Since the ABC Islands are outside the hurricane belt, they are a perfect place to visit at a cheaper price. Other prime cities include Sydney, Australia; Cartagena, Colombia; Rio De Janeiro, Brazil; Santiago, Chile; and Cape Town, South Africa. Like all-inclusive vacations, Groupon Getaways are prime opportunity to score fantastic deals. Third-party travel agencies and tour guides plan out your entire trip, which can be a major stress relief. When visiting foreign countries, a guide becomes almost necessary with the language barrier. Plus they know some of the best places to visit. But Groupon Getaways are not without downsides. Dates are often limited. This might prove difficult if you have an inflexible vacation schedule. Travel agencies often make money by taking tourists on souvenir-shopping expeditions. So if shopping isn’t of interest, that’s an hour out of your trip you can’t get back. Not mention the tedious bouts with sharp salesmen. Finally, not every accommodation comes with everything you need. Most packages are excellent, but some may have restrictions you take for granted. For example, if you take a trip to Cusco, Peru you might have limited water available at the hotel. This makes any trips to the bathroom a whole new experience. As always, be sure to do your research beforehand. No matter where you go and how you get there, a vacation will cost some amount of money. Here are some quick money saving tips to help you make the most out of your trip. 1. Look for a Fridge or Kitchenette. Eating on vacation can be expensive if you are not doing an all-inclusive resort. If you want to cut down on your food bill, having a fridge or kitchenette is an excellent way to do so. This allows you to visit your local grocer to cook your own meals. Alternatively, you can ask locals where the best places are to grab an affordable bite to eat and store food in the fridge. This an added advantage in renting a facility, a townhouse, or a condo for your large family. Teenagers can be quite rebellious. How can you channel their energy to your advantage? By asking them for help. Give your teen a few guidelines and enlist their help scouring the web. Not only will you save time, but you’ll also create psychological buy-in. This will make your teen enjoy the vacation more while reducing disagreements. Additionally, they might surprise you with the discounts and deals they find. Activities in nature are almost always affordable. But if you’re looking to spice things up, you (or your teen) should see what’s available for free in the city. It’s not uncommon for museums, aquariums, and factories to offer free admission. The Grand Coulee Dam offers free guided tours from April to September. In Washington DC, the National Air and Space Museum and Smithsonian’s National Zoo is free. Some cities also offer special deals on certain days of the month. For example, many Seattle museums give free admission on the first Thursday of every month. Eventbrite also has a section you can find free events in your city. It’s also easy to Google “[city] free events”, and replace [city] with your vacation destination. Many attractions and hotels have free perks and upgrades available to those that ask. But that’s the key: you usually have to ask to get them. Some businesses have policies that give managers the freedom to give perks to anyone. Other businesses have specials for families with special circumstances. This includes discounts for veterans, seniors, or college students. Simply ask, “Are there any specials available?” If you don’t say anything, this phrase allows the manager to do the negotiating for you. Businesses are more flexible when the environment is less-than-ideal. For example, if you find the hotel you’re staying at is under construction, ask if you can get an upgrade for free in a new room. Even if the staff says no, you have nothing to lose except for a little bit of time. Souvenirs are one of the biggest profit items at any major attraction. What cost $1 “in real life” costs $10 at the museum. What costs $5 at the grocery store costs $20 at the theme park. Rather than paying top-dollar at your vacation destination, try looking off-site. Even big box stores like Walmart and Target usually carry local memorabilia at a cheaper price. With these money-saving tips in mind, you can have an affordable family vacation without paying big bucks. Looking for a place to relax with you and your family in Washington? Peniel Ranch offers affordable group rentals for family reunions and technology free vacations in the Pacific Northwest. Click here to learn more about our other group rentals.